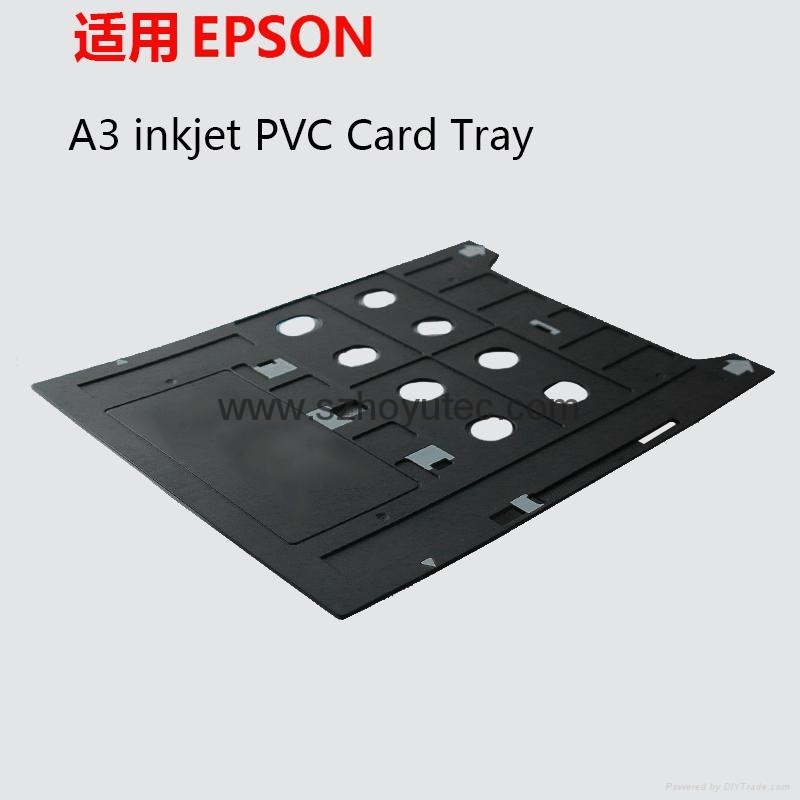 PVC card trays are able to be used with certain inkjet printers to allow printing on to Inkjet PVC Cards (you can not print on a normal PVC card as it will not accept the ink, you must use Inkjet PVC Cards). 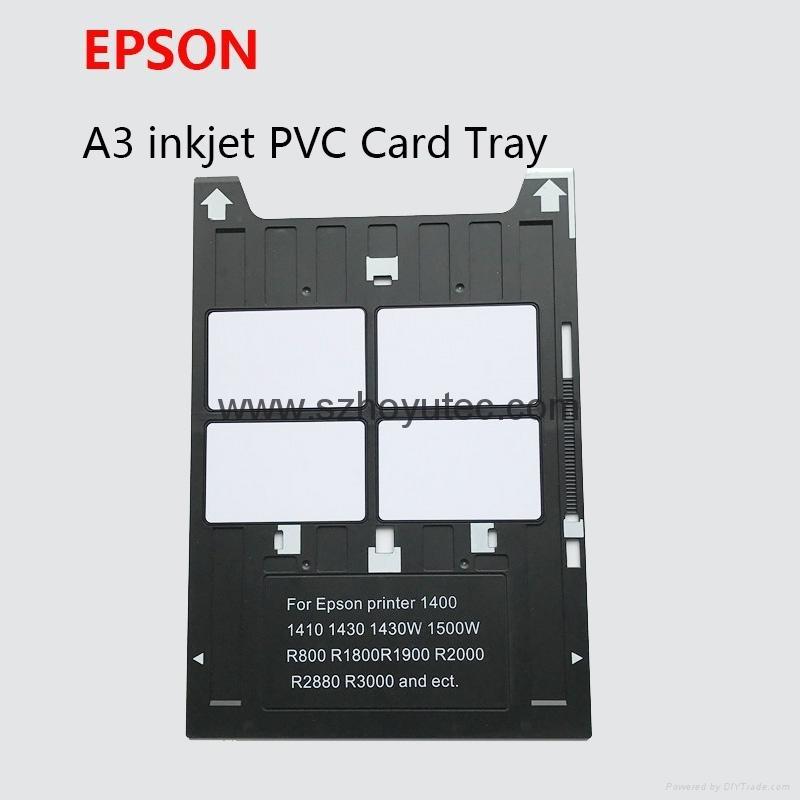 This tray replaces the Epson tray that came with your printer for CD/DVD disc printing. This tray measures approximately 8-1/4" x 11-3/4" (210 x 297mm) and should work with any Epson printer that uses the same size tray. 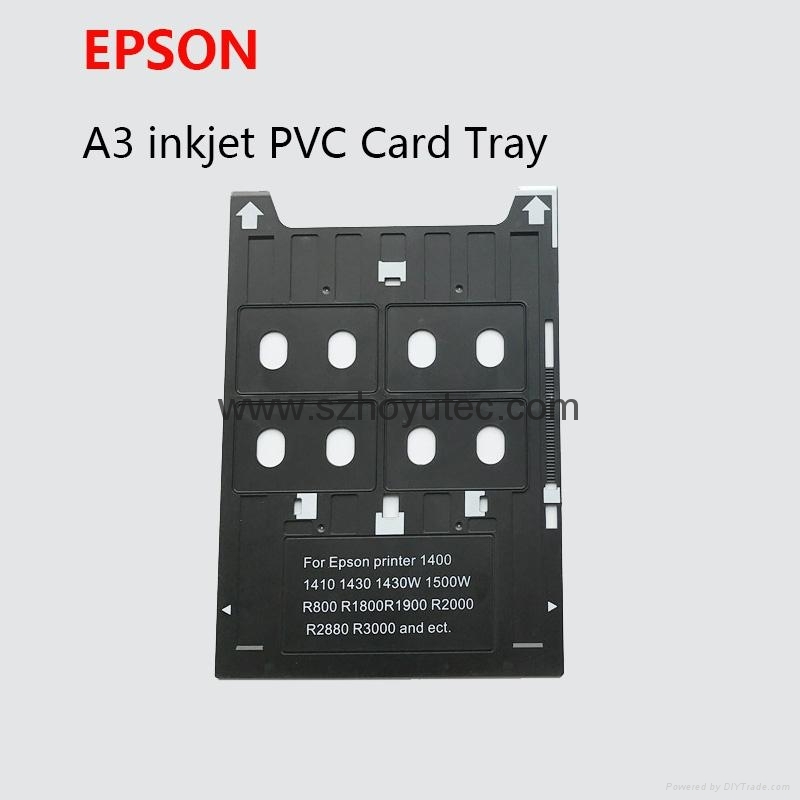 Holds 4 standard CR80 (credit card size) Inkjet PVC Cards.